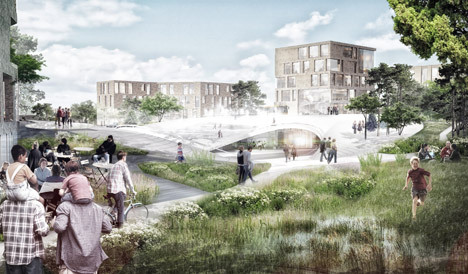 News: Henning Larsen Architects has won a bid to design a train station for the new sustainably-designed city of Vinge, in a rural area outside Copenhagen . 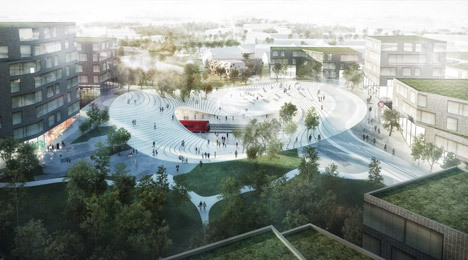 Danish studio Henning Larssen has won an architecture competition to design an S-train station that will form the main transport hub in the centre of Vinge, the 350-hectare future city that will be built in the Frederikssund region, north of Copenhagen. 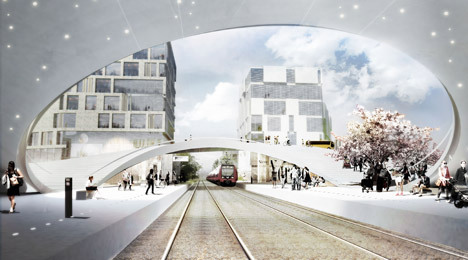 The train station will connect the new city with neighbouring regional areas, as well as Copenhagen, and is expected to be built by 2017 ahead of the city’s completion in 2033. 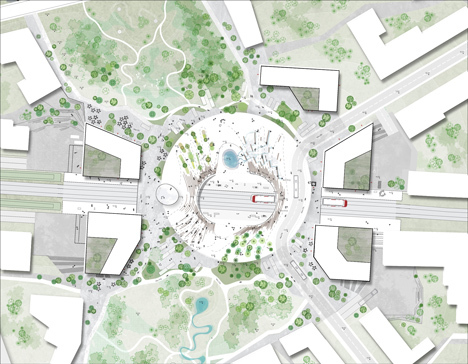 Henning Larsen Architects had already created the master plan for the town, which will be the largest urban development project in Denmark to date and home to over 20, 000 inhabitants. “The easy accessibility to Vinge through public transport will increase its overall attractiveness, motivating businesses to establish in either the city centre or in the business area just north of the centre,” said Henning Larsen Architects in a statement. The train terminal will be sunken below ground-level with an elliptical opening. The white curved roof structure will dip to meet platform level and rise to cantilever over the tracks forming a bridge on either side of the opening. This structure will be terraced, to provide a recreational area leading on to nearby parkland, with the train tracks threading out into channels between buildings on either side of the station concourse. “The urban space and the landscape stretch and meet to span the rails, ensuring that the railway does not divide the town into two parts,” said a statement from the architects. 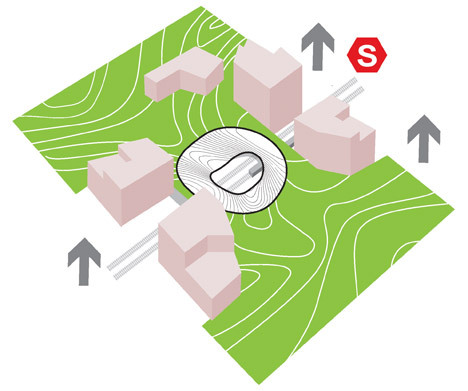 Buildings of varying heights situated along the tracks are intended to integrate the station into the larger city infrastructure. “From the high-density environment of the city centre, the architecture gradually transitions to lower, more open building typologies, scaling down the building stock towards the surrounding open landscape,” said the architects. 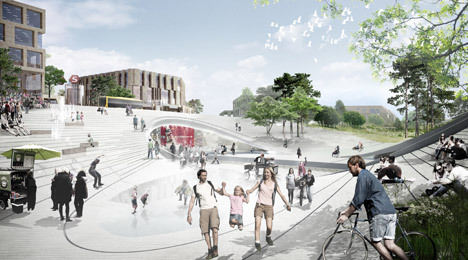 The station will be situated at one end of a large strip of parkland that will run through the centre of Vinge forming a connection between the city and its rural setting. 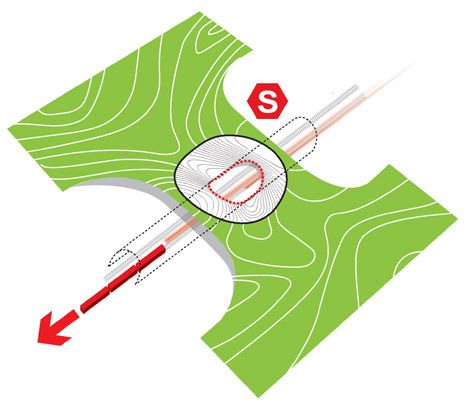 “A primary design goal has been to bring the surrounding scenery into the new city. Green areas within the urban context create breathing spaces, add a recreational dimension to the city — such as playing fields, urban parks and wetlands — and ensure nature’s enduring presence in the city,” said the studio. 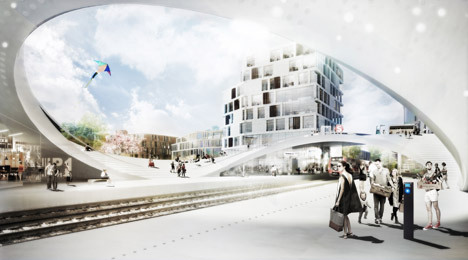 Henning Larsen designed the station in collaboration with Tredje Natur, MOE and the Railway Procurement Agency Vinge. 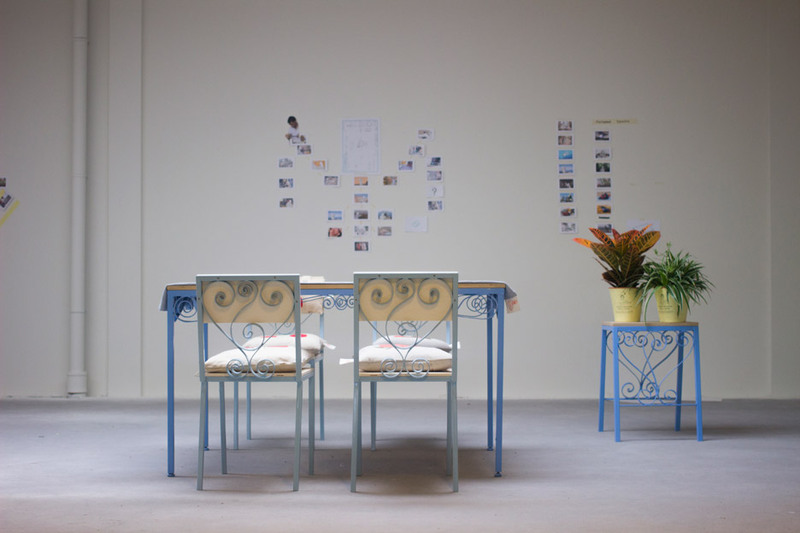 Next article"History Has Become A Trove Of Artefacts Ready For Appropriation"